Stylish bi-fold doors that are the epitome of modern performance and contemporary style. A modern and stylish bi-fold door with thinner sightlines and interlock of 122mm which provides larger glazing panels without compromising on performance: The Luminia F82. The door also offers HD compact slim stainless steel rollers as standard, allowing for a smooth movement whilst opening and closing. The ALUK Luminia F82 bi-fold door is suitable for the homeowner and developer alike, offering modern slim sightlines and an effortlessly smooth operation. With stylish hardware and low U-Values, the bi-fold door system is created with premium grade aluminium to allow for flexible design and high quality finish. With symmetrical sightlines on the frame, cill and jamb of only 97mm the ALUK Luminia bi-fold door offers larger expanses of glazing for a luxurious and unlimited view of the outdoors. Whether you have them open up to a garden, patio, decking, outdoor eating area or similar, they work perfectly to create ease of access and unstoppable views. The bi-fold door system has a contemporary feel with uniform sightlines with bespoke flush hardware designed and developed specially. The flush pop up handle removes the need for surface mounted handles that can be unsightly and maintains a seamless and smooth aesthetic. The Luminia F82 bi-folding door is a result of the current trend for slimmer, more attractive and high performance bi-folding doors. With a focus on providing a premium product that offers slimline features and versatility, ALUK have created a bi-fold door that outstrips other models. Take a look around our virtual reality tour of the Arkay Windows showroom. Here you can see a sample of the products we have on show, including our Aluk Luminia Bi-Fold Doors. See the ALUK Luminia F82 bi-fold door in action with its smooth and easy opening and closing operation and sleek, sophisticated aesthetic. The Luminia F82 bi-fold door by ALUK has mullion sightlines of just 122mm making it super slim and resulting in a luxurious finish. 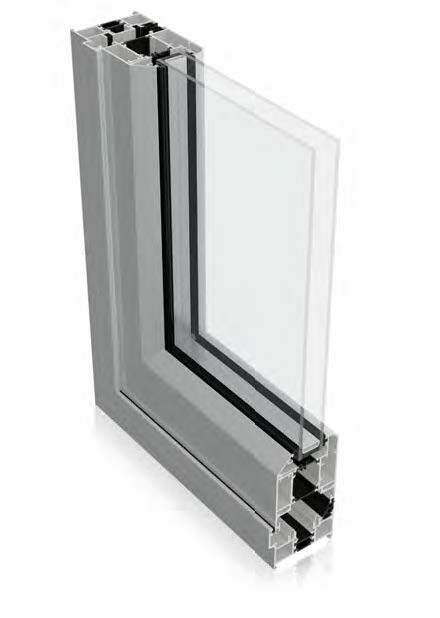 Offering consistent visibility of the outdoors, both the frame and cill sightlines are of 97mm making it a great feature to have as part of your project. The door components are a result of advanced manufacturing and innovative design, with shoot bolt mechanisms that fit snugly around the corners. The hinges and rollers have an attractive appeal, with aesthetics being essential to homeowners considering a bi-fold door solution. Combining the intimacy of inside spaces with the freedom of the outside, the Luminia F82 aluminium bi-fold door is an ideal choice for seamlessly integrating the interior of a property with the exterior. 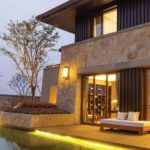 Whether this is for connecting an outdoor dining area, outside bar, relaxing patio area, pool side decking or entertain space, the possibilities are endless. They are also suitable as a choice for commercial properties such as restaurants, to open up onto an alfresco eating area. Take a look at our product brochures for more information and technical specifications. If you have any questions about any of our products, please do get in touch. The ALUK Luminia F82 bi-fold door can be customised in a number of ways. You can select whether you’d like double or triple glazing for increased thermal efficiency that conserves energy and maintains a warm and pleasant atmosphere inside. This is particularly beneficial in the cooler months, where you can close your bi-fold doors to protect your home from the elements. There are a number of different colours available, with the ability to tailor your bi-fold door to match existing features of a home or property. There is the option to choose dual colours to colour match the inside with the interior and the outside with the exterior. You can opt for a neutral colour to blend in with the building surroundings or something brighter and more vibrant to make a statement. Select from different frame types such as chamfered or square. Our bi-fold doors can be fitted with a variety of opening configurations allowing for a bespoke made solution for your project needs. Our doors are custom-made to the space they are required for and all of the features and fittings can be selected specifically for a unique end result. These Luminia F82 bi-fold door systems are also suitable for commercial purposes such as office buildings to separate rooms or areas without having a closed off feel or blocking natural light. Create an open plan office space with individual desk spaces that allows for privacy as well as style. You can contact us today for a free quote for your bi-fold door needs today. Whether you’re looking for the ALUK Luminia F82 bi-fold door system to be implemented into a residential or commercial project, we can assist. Simply visit our contact page and fill out our online contact form. A member of our expert team will be able to answer any questions you may have. We are happy to recommend or advise on the most suitable products for your needs and requirements. 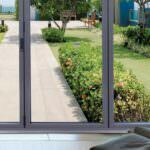 Are Luminia F82 bi-fold doors easy to maintain? Our bi-fold doors are designed specifically to be low-maintenance so that you won’t have to spend time or money on their upkeep day to day. Our high quality glazing systems feature exceptional quality glass that simply needs a wipe down from time to time. Are bi-fold doors available in a slimline design? Our bi-fold doors have sightlines of just 122mm, making them incredibly slim. The design of our ALUK Luminia F82 bi-fold door system is specifically targeted at creating slim and sleek profiles that offer unobstructed views. The new Luminia Aluk bi-fold doors that we manufacture in London are very secure, offering advanced and robust locking mechanisms that will provide you with peace of mind about the safety of your property. Our bi-folding doors are tried and tested and put through thorough assessment to make sure they exceed our expectations in terms of quality and functionality.